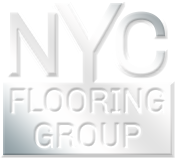 NYC Flooring Group provides installation service to the New York metro area, New Jersey, Connecticut; our general guidelines are that we travel up to 5 hrs. from NYC. As for buying materials only we can ship carpet worldwide. Should you have a job that requires traveling longer hours than usual please contact us directly so we may discuss your specific needs. Our price match guarantee ensures that no matter where you shop, where you search for carpet prices, whether you are looking to obtain carpet installation prices, you won’t find prices lower than ours.